Highway 89 | Trailways bus & Marble Canyon Lodge closeup. 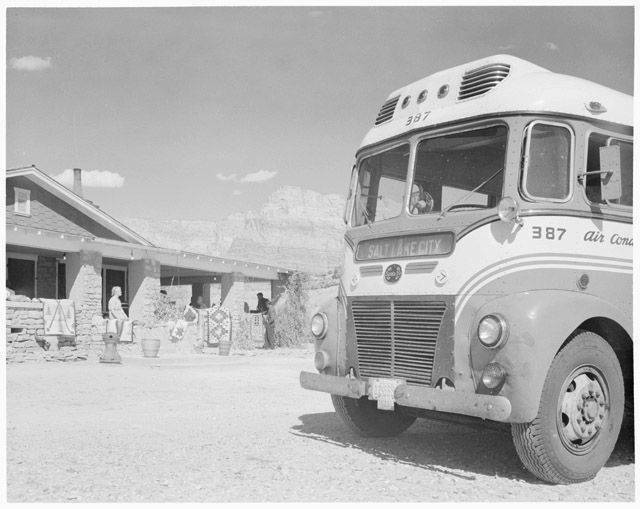 Trailways bus & Marble Canyon Lodge closeup. Scanned by Northern Arizona University. Cline Library using Imacon Flextight 848, display file is JPEG. 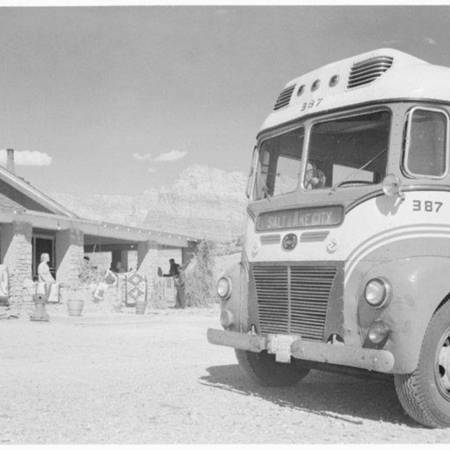 Muench, Josef, “Trailways bus & Marble Canyon Lodge closeup.,” Highway 89, accessed April 25, 2019, http://highway89.org/items/show/644.